While searching for plus size wedding dresses online I came across Sheila’s bridal boutique in Ancaster. I couldn’t believe that there was actually a plus size wedding dress store in Canada let alone just outside of Toronto. My wedding is not until 2017 but I decided why not try some on see how they look. I have a huge family and when I made this appointment a lot of people wanted to come. Our group including myself was 7 adults 2 kids and a baby. Sheila was very nice about my big entourage and very accommodating. When I first looked at all the dresses I noticed they were all so beautiful and classy and there were SOO MANY!! Sheila hand picks all the dresses in the shop and let me tell you she knows how to pick em. I ended up falling in love with the second dress I tried on even tho I wasn’t planning on it!! I look forward to working with Sheila through my whole dress journey. 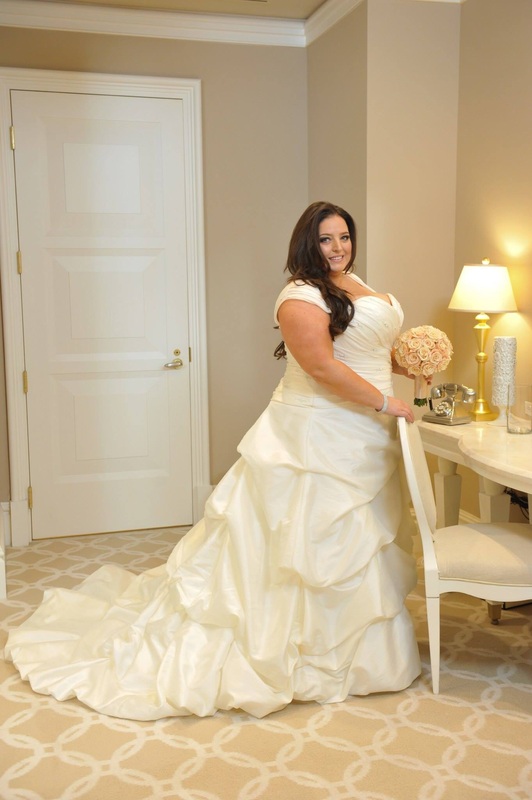 If you are a plus size bride, who wants an all around amazing wedding dress shopping experience, you must book an appointment with Sheila’s Bridal Boutique. I promise you won’t be disappointed!!!! Thank you so much again Sheila!! Your the best!! !